There is quite a number of possible risk factors for a baby in a car. The possibility of an accident, an impact of any kind, is only one of them. It is the reason safety car seat actually exist. It is the problem they have been created to solve, although, regrettably, there is no one hundred percent guarantee, not even with the best of car seats. Nevertheless, they do lessen the risks significantly. A car crash is still only one of the risks. Another one is overheating, and it really is a serious problem. Not every car seat is designed to deal with it on top of its primary functions. This is why it is important to know how to keep a baby cool and prevent him from overheating. The latter is not exactly what the article is about but this is very close. First of all, parents should know how to prevent overheating in general, and in a car in particular. The first thing we recommend is not to overdress the baby. Even in winter, the baby could easily suffer from a heat stroke. Second, no baby should ever be left in a parked car alone, car seat or no car seat. Dozens of children die in the US alone every single year because of that. It is not just a risk for health; such a negligence is potentially fatal. Not overdressing the baby can do only so much. Skintight clothes still can contribute to overheating even if they are light and cotton. We strongly recommend dressing babies in loose clothes. 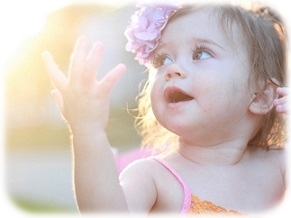 Do note that babies are often susceptible to sunburns. We recommend that you either purchase a car seat with a canopy or acquire a car seat cover able to protect the baby from the direct sunlight. Of course, those measures are only any good against the direct sunlight. 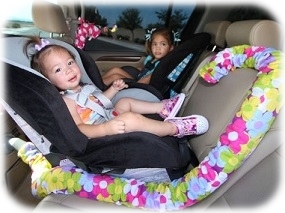 The inside of the car seat is still capable of being overheated, even if the canopy, cover, or cabin prevents the sunlight from affecting the baby. To eliminate the danger, we recommend acquiring car sun shades. They come in many varieties and many of them can be used on the move, provided they are applied to the rear windows. Hydration is very important when it comes to children. After all, it is very important for adults as well. Hydration is a need in and of itself but the body needs more water in the event of overheating. 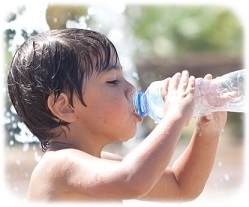 In fact, infants’ need for fluids may increase by 50% in summer. That is why to keep your baby cool, you need to keep him hydrated. That said, water is not the most suitable source of fluids, at least, not after the child is old enough for that. You can give him more breast milk or formula, depending on what you feed him usually. Use of lotions does little to keep the baby cool but it is not useless. For one, lotions are good to keep the baby hydrated since they prevent the baby from losing too much fluid with the perspiration. As they evaporate, they cool the baby’s skin and that, in its turn, means that lotions can also be useful for keeping the baby cool even if we do not take hydration and dehydration into account. Ventilation is extremely important to keep someone cool. That, naturally, includes babies. 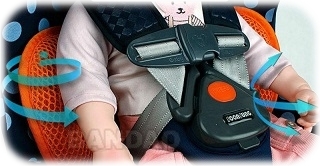 One of the ways to provide good ventilation for a baby is to acquire a ventilated car seat. Some of them incorporate elements with the sole purpose of ventilation. Ventilation is not as important as some other things. However, it does become an issue when you are using a car seat cover. Make sure the cover you are using is well ventilated. Mesh car seat covers work the best. This one may seem obvious. However, there is a very good reason we have not brought it up sooner. An air conditioner can indeed do a terrific job keeping a baby cool. With how common air conditioners for cars are nowadays, it is only natural that using air conditioning can be the only thing you would need to keep the baby cool. However, there is one thing most people do not consider. An air conditioner dries the air. Dry air can be extremely harmful to a baby. Not to the point it can cause damage, it is less harmful than overheating for sure, but it may be more than enough to irritate the skin of the baby. We recommend using air conditioning with lotions. Please, do remember that this can only work in a car. If you put your car seat with a baby in it onto a stroller, you simply cannot count on air conditioning and have to rely on something else, something already mentioned above.